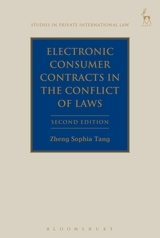 The second edition of this highly recommended work addresses the interaction between conflict of laws, dispute resolution, electronic commerce and consumer contracts. In addition it identifies specific difficulties that conflicts lawyers and consumer lawyers encounter in electronic commerce and proposes original approaches to balance the conflict of interest between consumers' access to justice and business efficiency. The European Union has played a leading role in this area of law and its initiatives are fully explored. It pays particular attention to the most recent development in collective redress and alternative/online dispute resolution. 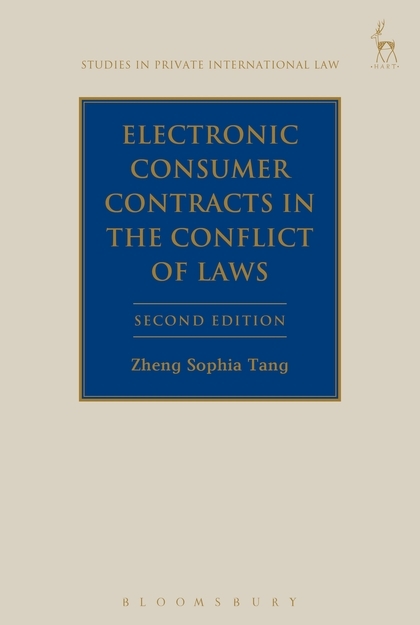 By adopting multiple research methods, including a comparative study of the EU and US approach; historical analysis of protective conflict of laws; doctrinal analysis of legal provisions and economic analysis of law, it provides the most comprehensive examination of frameworks in cross-border consumer contracts. Zheng Sophia Tang is a Chair in law and commerce at Newcastle University and a barrister at Middle Temple.